Click on the image to see a larger version of the poster. 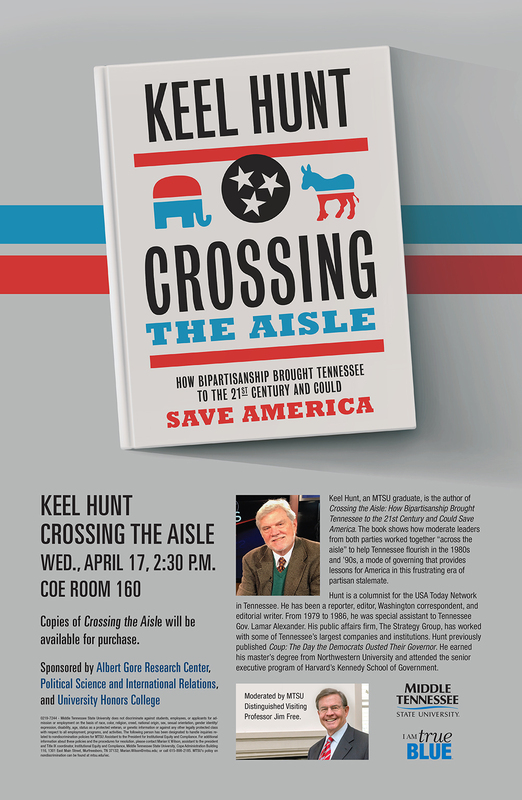 “Crossing the Aisle: How Bipartisanship Brought Tennessee to the 21st Century and Could Save America” is Hunt’s latest book, which he’ll discuss — and sign — during his free April 17 lecture, set for 2:30 p.m. in Room 160 of MTSU’s College of Education Building. A campus map is available at http://tinyurl.com/MTParkingMap. Off-campus visitors attending Keel’s talk can obtain a special one-day permit at www.mtsu.edu/parking/visit.php. 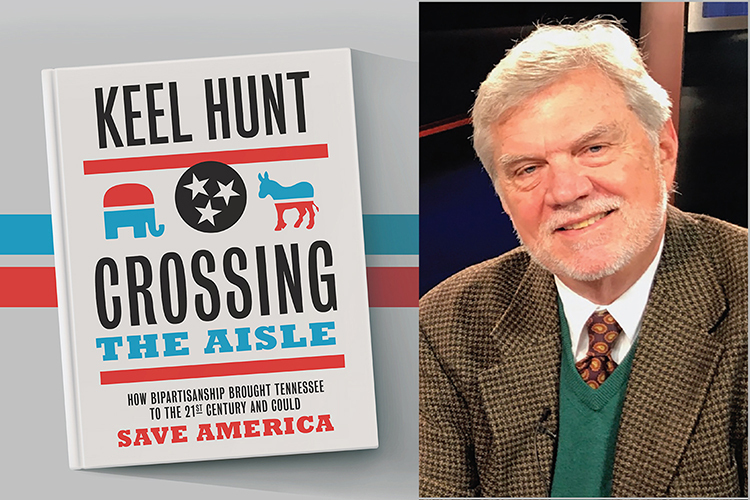 In the book, Hunt discusses how moderate Democratic and Republican leaders worked together “across the aisle” in the 1980s and ’90s for the good of the state, creating reform-focused policies to help Tennessee flourish. The event also is being sponsored by MTSU’s Albert Gore Research Center and the Department of Political Science and International Relations. Fellow MTSU alumnus and Distinguished Visiting Professor Jim Free will moderate the discussion. Hunt has been a reporter, editor, Washington correspondent, and editorial writer and currently is a columnist for the USA Today Network in Tennessee. From 1979 to 1986, he was special assistant to Tennessee Gov. Lamar Alexander, and his public affairs firm, The Strategy Group, has worked with some of Tennessee’s largest companies and institutions. 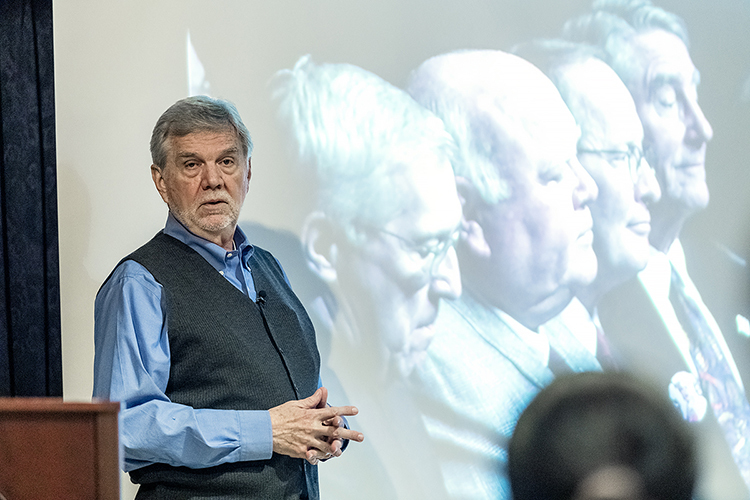 He also is the author of “Coup: The Day the Democrats Ousted Their Governor, Put Republican Lamar Alexander in Office Early and Stopped a Pardon Scandal,” another example of Tennessee leaders’ bipartisan efforts to help the state. Hunt last visited his alma mater in November, when he spoke as part of MTSU’s Honors Lecture Series on Tennessee’s gradual switch “From Blue State to Red” between the administrations of Gov. Frank Clement in the 1950s and ’60s and Gov. Bill Haslam’s for the last eight years. Tennessee voters broke a nearly 50-year tradition of alternating between Republican and Democratic governors last year by electing a second consecutive GOP governor, Bill Lee. For more information, contact the College of Liberal Arts at cla@mtsu.edu.